This is a so called narrowband image. Galactic cloud complexes that contain hydrogen-alpha gas send out light of a deep red wavelength when they receive strong radiation of nearby stars. The narrowband filter only lets through this wavelength and closes out all other colors and so also the light pollution. This one is also cool but I wish I could view these side by side on a large monitor so that I could see how your two posts compare. 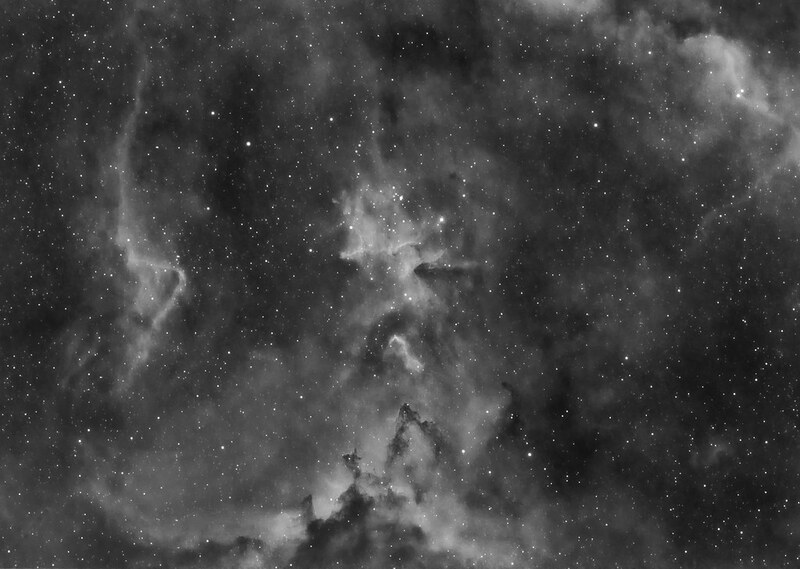 In this case they only differ in color because I took the black&white hydrogen alpha data for 100% of the luminance information. So it delivers all of the details and contrast. The color shot was taken only for the color values and distribution. All times are GMT -7. The time now is 10:20 AM. | See also: NikonForums.com, CanonForums.com part of our network of photo forums!